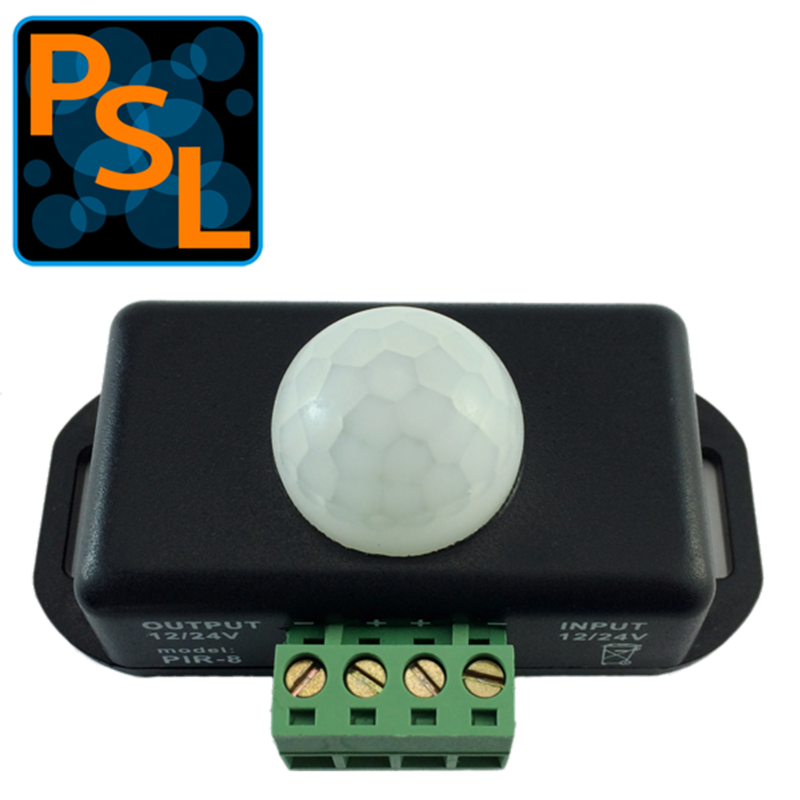 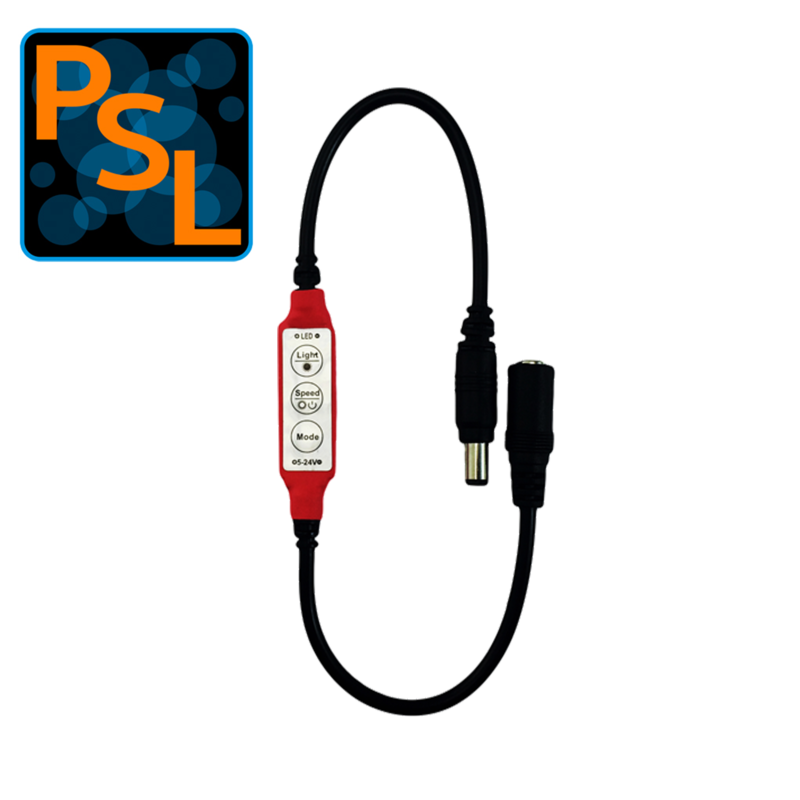 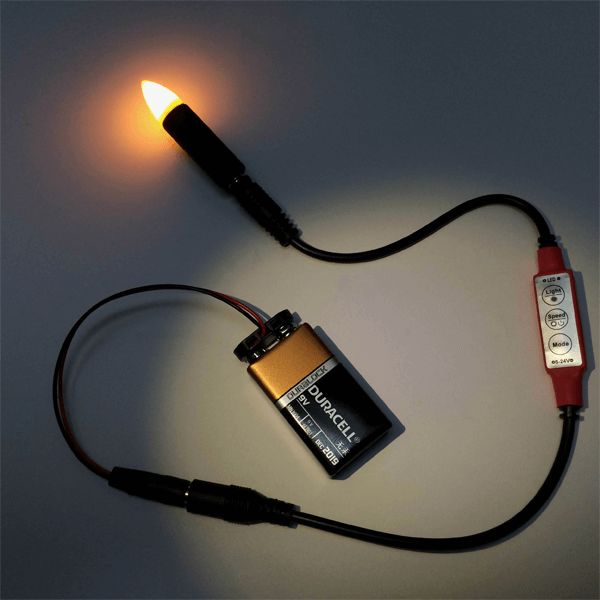 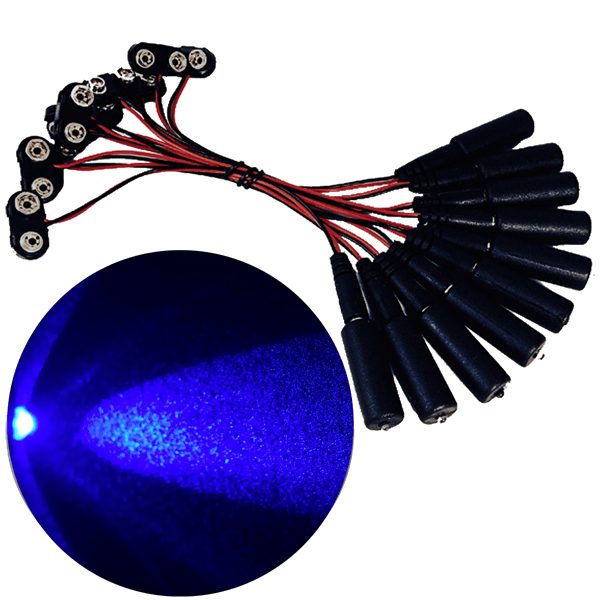 The Prop and Scenery Lights PIR1 is a simple low voltage DC motion sensor switch that activates on when a body in motion enters the field of view with an on time hold of 10 seconds after motion has ceased. 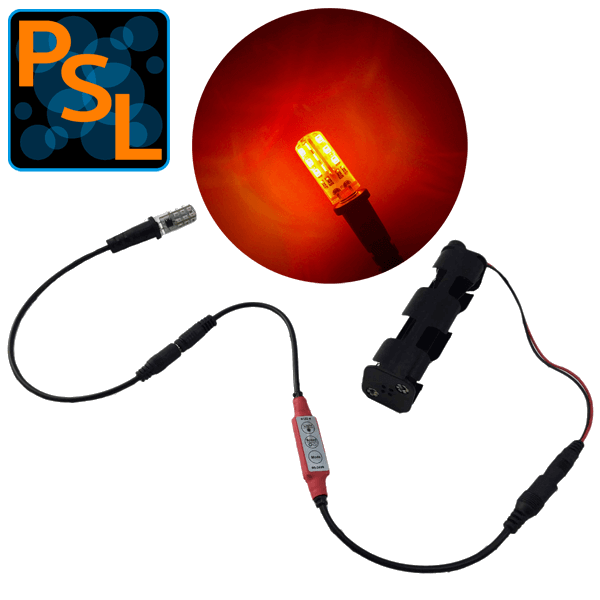 PIR (Passive InfraRed) sensor has an effective range of 16 feet and diminished sensing of a moving human body to 26 feet. 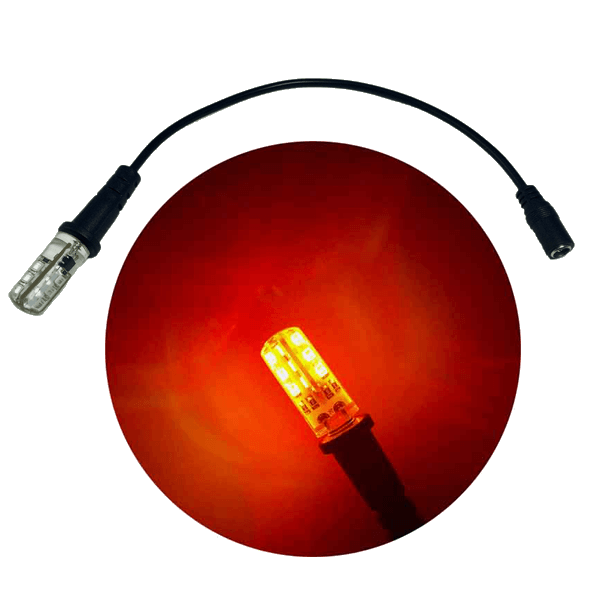 The field of view of the PIR Dome Lens is 120 degrees nominal. 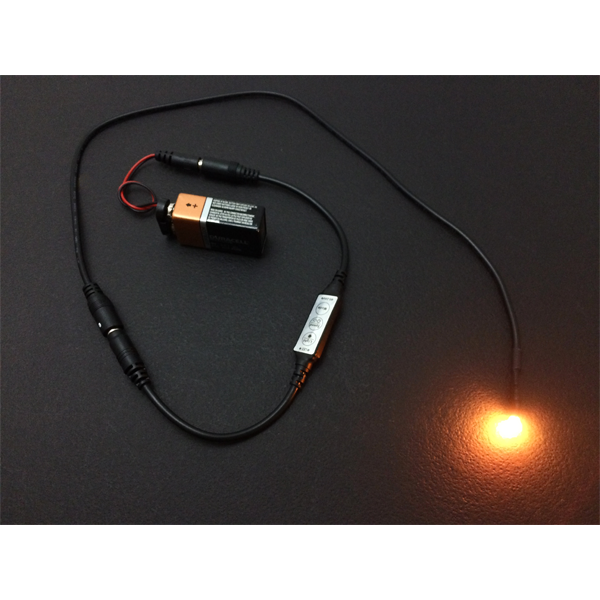 The switch operates on 12 to 24 volts DC and can switch up to an 8 amp load. 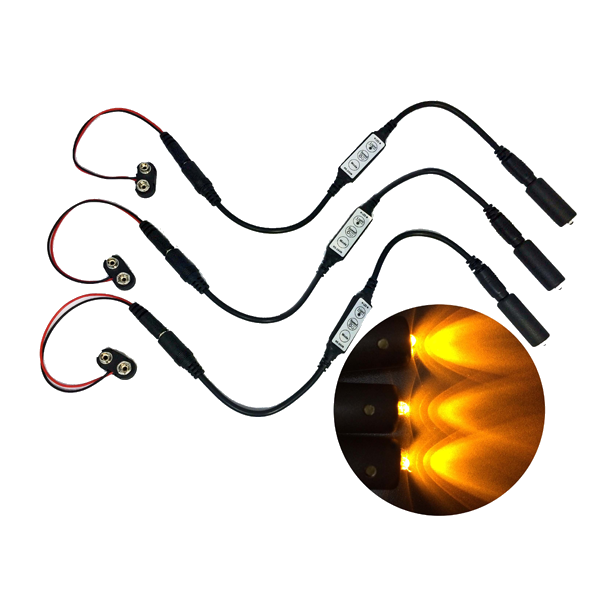 Great for small 12 volt DC solar panel LED Lighting systems to conserve battery power; also well suited for occupancy LED lighting control and security LED Lighting systems. 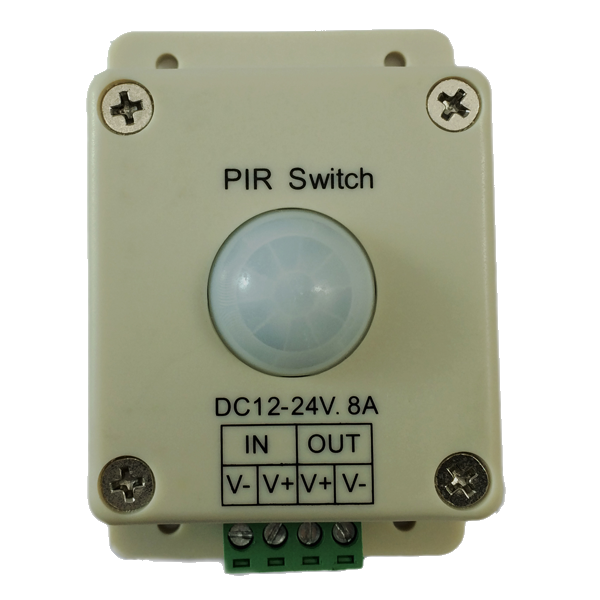 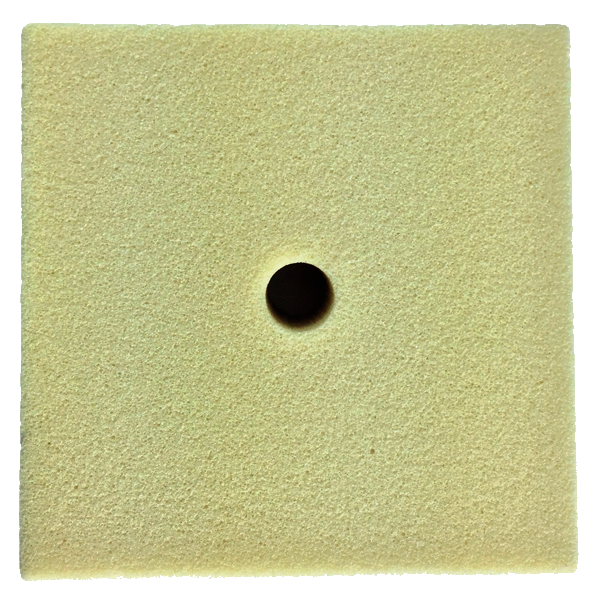 The PIR1 motion detector will operate in the 10 – 15 volt range that would be expected in the normal charge and discharge ranges of a sealed lead acid battery.